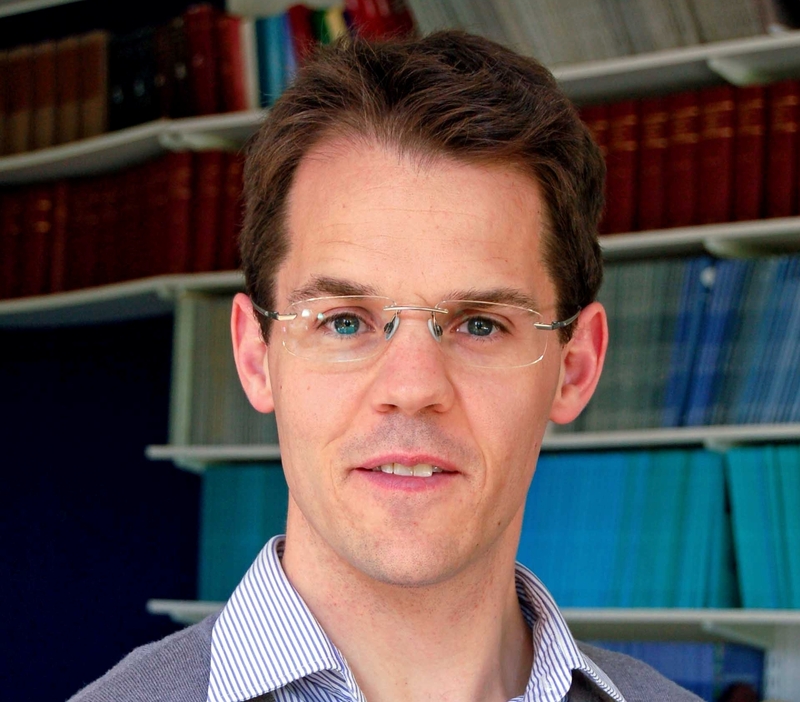 Jan van Zyl Smit: Judicial appointments in the Commonwealth: Is India bucking the trend? In recent years many Commonwealth states have adopted, or at least debated, reforms to their legal frameworks for the appointment of judges. The stated objectives of such reforms include strengthening the independence of the judiciary, improving its racial and gender diversity, and fostering or enhancing public confidence in the courts. One of the most common changes has been to transfer the bulk of the work involved – at least selection decisions if not the formal act of appointment – to a dedicated commission with a broad membership. These new bodies are usually required to apply transparent selection criteria and procedures, in a departure from the opaque practices of the past. A good example is the Judicial Appointments Commission established by the UK’s Constitutional Reform Act 2005. In view of the marked shift among Commonwealth states towards the use of commissions, I was surprised and fascinated in October 2015 when the Supreme Court of India struck down the establishment of a National Judicial Appointments Commission (NJAC). This was a monumental decision of more than 1,000 pages, with many ramifications for the Indian separation of powers as discussed by Chintan Chandrachud on this blog. Did the Court consciously decide to swim against the comparative tide? And what will be the likely effect of the Court’s subsequent recommendations for improving the current appointment system, to which the government is currently considering how to respond? To set the scene and examine the underlying justifications for these trends in Commonwealth judicial appointments, I draw on two recent studies in which I have been involved at the Bingham Centre for the Rule of Law. The Appointment, Tenure and Removal of Judges under Commonwealth Principles: A Compendium and Analysis of Best Practice considers the various ways in which the legal frameworks of Commonwealth states provide support for an independent judiciary. By contrast, the Cape Town Principles on the Role of Independent Commissions in the Selection and Appointment of Judges, the product of an international working group convened by the University of Cape Town in collaboration with the Bingham Centre, focuses in more detail on how the structure and processes of independent commissions should be designed so as to enhance the contribution which these bodies are capable of making to the selection and appointment of judges. In the early years of the Commonwealth, it was widely accepted that a minister could have sole responsibility for selecting judges – the Lord Chancellor in this country, or the Minister of Justice or Attorney-General in former colonies that had already gained independence such as Canada and Australia. The judicial selection process was not expected to be transparent, as the minister could take ‘secret soundings’ about potential candidates before offering the job to an individual with a ‘tap on the shoulder’. While there was a convention judicial posts should go to the most highly regarded advocates from the Bar, without regard for their political affiliation, this depended on ministers exercising considerable self-restraint. Even then, there was the obvious danger that appointments made under the influence of senior figures on the Bench and at the Bar might reinforce networks of power and patronage, to the detriment of those whose race, gender or class background put them at a disadvantage within the local legal community. A different approach took shape in the independence constitutions that were negotiated from the late 1950s onwards, particularly in the new Commonwealth states in Africa and the Caribbean. It became standard practice to entrust the selection and also the discipline of judges to a small Judicial Service Commission, chaired by the Chief Justice and with a majority of judges among its members. Various explanations have been advanced for this development, including a desire on the part of departing colonial authorities to protect ‘their’ judges. In theory at least, this was also a safeguard against political appointments in the longer term, which could be justified in view of the greater responsibilities that courts had been given to review legislation and enforce new bills of rights. In practice these ‘first wave’ commissions have had a mixed track record. Some were soon abolished. In other cases, the judicial membership was reduced or the commission was simply pressured to do the bidding of authoritarian or corrupt governments. What made such abuses a great deal easier was the opaque selection process inherited from the Westminster model. Like the ministers who were responsible for appointments in other jurisdictions, the commission would identify suitable candidates through unspecified private enquiries and then offer them a judicial position with a ‘tap on the shoulder’. This lack of transparency and the absence of an opportunity for candidates to apply for judicial office made it difficult to challenge politically motivated appointments. Moreover, even if there was no political interference, it remained likely that a small commission dominated by judges would continue to appoint senior advocates in their own image without regard for improving diversity or fair access to judicial careers. Today, more than 80% of the independent Commonwealth jurisdictions have a commission, established by law or under the constitution, which plays some part in appointments to the higher courts. This finding in the Bingham Centre Compendium mentioned above should not be taken as suggesting that commissions play the same or even similar roles in all these countries. For example, appointments to the highest court are still in the hands of the executive in a significant minority of states (27%), and in 50% of states the Chief Justice is chosen by the executive. Parliamentary confirmation requirements apply to some judicial appointments in 21% of Commonwealth member states, although mostly as an additional check on nominees put forward by a commission, and not a direct confrontation with the executive’s nominees as occurs in the United States. But perhaps the most interesting development is the ‘second wave’ of commissions from the 1980s onwards, in jurisdictions as varied as post-apartheid South Africa, the UK, Malaysia, Nigeria and Kenya, to mention only some of the larger ones. These bodies tend to have a broader and more inclusive membership, and have almost invariably replaced the ‘tap on the shoulder’ with a more open and transparent selection process. The emergence of ‘second wave’ commissions should be understood as a response to a wide range of different concerns at national level about judicial independence, diversity and public confidence. The implications of these concerns for the design and functioning of commissions are considered in the newly released Cape Town Principles on the Role of Independent Commissions in the Selection and Appointment of Judges, which were introduced above. The composition of second-wave commissions differs from the small first-wave commission in a variety of ways. In the UK, the JAC and its counterparts in Scotland and Northern Ireland include judges from various levels of the court system, practising lawyers, and lay members, with no single contingent holding an outright majority of seats. Kenya’s post-conflict constitution of 2010 adopts a similar balance with the addition of gender quotas to ensure a minimum representation of both men and women. In Nigeria, a strong judicial majority has been in place since the transition to civilian rule in 1999. By contrast, there can be as few as three judges among the 23 members of the South African JSC, with the majority being executive nominees or members of parliament (including some from opposition parties). There are also a teacher of law and four practising lawyers, chosen in practice from different professional associations, to allow a wider range of voices from the legal community. What these disparate bodies have in common is their attempt to ensure a broad membership. This enables the commission to bring to bear a wider range of professional and life experiences on its selection decisions, which should help both to improve the confidence of the public and to attract a wider range of candidates from those who are eligible for selection. At the same time, it is vital that commission acts independently and that its members are not seen as political proxies. This is as much a matter of institutional culture as it is of the composition of these bodies, and a judicial majority may not be the only or the most effective way of ensuring their independence. As the Cape Town Principles indicate, commissions may also be assisted by measures such as security of tenure within a fixed period of membership, an oath of office and a conduct of conduct. Transparent selection processes are another very important development that has accompanied the emergence of second-wave commissions. Rather than continuing the ‘tap on the shoulder system’, these jurisdictions have typically embraced open application processes, in which judicial vacancies are advertised and candidates may put themselves forward for assessment against published criteria. Some jurisdictions have taken transparency further than others. In South Africa and Kenya, the commission publishes the names of short-listed candidates and interviews them in public. This enables civil society to raise concerns about the track record of individual candidates as well as monitoring the selection process and holding the commission accountable for its treatment of those who are interviewed. Individual transparency of this kind is seen as a measure to strengthen public confidence in divided societies, though the fear of public embarrassment may deter some qualified candidates. For this reason, applications to the JAC in England and Wales are confidential, but applicants may have recourse to an ombudsman with powers to investigate complaints about the application process. When implemented by a commission with broad and inclusive membership, transparent selection processes go some way towards satisfying the increasingly demanding public expectations that have arisen in many countries in the area of judicial appointments. This is not to say that second-wave commissions have avoided controversy, but it is hard to see how another appointments mechanism would be better able to address challenging questions about judicial independence and diversity that are increasingly subjects of mainstream politics in a less deferential age. Any discussion of judicial appointments in India must begin with the system that was in place before the NJAC was introduced, and which has now been revived. The 1949 Constitution established a parliamentary democracy and vested the power to make judicial appointments in the President as head of state. The President was obliged to consult the Chief Justice of India. However, in a series of decisions from the 1980s onwards, the Supreme Court interpreted this consultation requirement as entitling the Chief Justice both to propose candidates and to insist on their appointment over any government objection. The Chief Justice did not act alone but expressed the view of a collegium consisting of a small number of the most senior judges. The collegium was effectively a first-wave commission with 100% judicial membership. It did not conduct an open application process. Potential candidates would be approached with a tap on the shoulder, and subject to a process of consultation between the senior judiciary and the government, this would lead to appointment if the collegium so decided. The main effect of introducing the NJAC was to replace the collegium with a differently constituted body. The NJAC would have six members: the Chief Justice and two senior judges; the Minister of Justice; and two ‘eminent persons’ chosen by a committee of the Prime Minister, the Leader of the Opposition and the Chief Justice. It was not clear whether there would be an open application process or detailed criteria for suitability, although such matters could have been subsequently been regulated by delegated legislation. In the event, the Supreme Court held by a 4:1 majority that the basic structure of the Indian constitution required ‘judicial primacy’ in the selection of judges in order to secure the independence of the judiciary. Even though the NJAC had been introduced by a constitutional amendment, it was struck out and the pre-existing provisions that formed the basis of the collegium system were revived. This decision seems startlingly out of kilter with the trends we have been considering, all the more so because the Supreme Court did in fact hear argument about comparative approaches in other jurisdictions. Defending the constitutional propriety of establishing the NJAC, the Attorney-General of India referred to 15 jurisdictions to support a somewhat overblown claim that the system of appointment made no difference to the independence of the judiciary. His examples included executive appointment systems in the traditional Westminster mould, a range of judicial appointment commissions, European parliamentary appointments to constitutional courts and US Senate confirmation procedures. The rather terse response to the Attorney-General’s argument by Justice Khekhar, delivering the leading judgment, was that India already occupied the most favourable position on this spectrum of possibilities. The 100% judicial membership of the collegium provided the best safeguard for the independence of the judiciary, and diluting the judicial vote would be a ‘retrograde’ step. In terms of comparative law, this is a weak and simplistic argument. It overlooks the many and varied contributions that members of a broadly based commission could make to the assessment of candidates, for example lay members assessing their communication skills and practising lawyers their legal ability. In principle a wide range of persons, and not only judges, should be able to comment on a candidate’s character and independence of mind. In many jurisdictions the inclusion of such members has been regarded as a way of improving public confidence in the judiciary, including confidence in its independence from vested interests. Yet Justice Khekar seemed to be on stronger ground when explaining why the presence of the Minister of Justice and two ‘eminent persons’ as members of the NJAC risked undermining judicial independence in the context of India. He recalled the efforts of past governments to create a pro-executive judiciary, particularly during the 1970s Emergency period, and suggested that Indian civil society was not strong enough to prevent politicians from exercising indirect control via the two ‘eminent persons’. Justice Khekar suggested that cultural norms of reciprocity would make it very difficult for judges to rule against the interests of those who appointed them. It was also relevant that the NJAC statute allowed any two members to block the appointment of a particular candidate. Justice Khekar saw this as increasing the power of the non-judicial members and it is true that the ease of veto would have meant at least that judges on the NJAC might have to negotiate with their more politically-minded colleagues and be forced to compromise on some candidates. As an outside observer, I am not able to say that the Indian Supreme Court overestimated the risk which the NJAC would have posed to judicial independence, nor that it erred in striking it down. The issues discussed by the Supreme Court in this case illustrate how sensitive any analysis of judicial independence must necessarily be to the culture, politics and institutions of a jurisdiction. The way forward: a more transparent selection process? The Supreme Court majority did not dismiss out of hand the government’s contention that the Indian judicial appointment system was in need of reform. Although rejecting the NJAC, the Court seemed to recognise the danger that well-connected candidates of questionable competence might be appointed, which might exacerbate existing problems of chronic delay in an overloaded court system. After striking down the NJAC, the Supreme Court held a supplementary hearing on how to improve the memorandum of procedure (MOP) which currently regulates the interaction between the collegium, other senior judges, and the government when considering persons for judicial appointment. The Court received approximately 11,500 pages of submissions. However, the government insisted that it would draft a new MOP and seek the approval of the collegium, and the Supreme Court accepted this proposal. In its order of 16 December 2015, the Court was content to make brief ‘recommendations’ in four areas. Eligibility criteria: the Court calls for the MOP to set out ‘eligibility criteria, such as the minimum age, for the guidance of the collegium’. It would have been more useful to propose comprehensive criteria for assessing not just eligibility but also suitability for judicial office. Detailed criteria relating to the qualities of a judge – for example intellectual capacity, integrity, communication skills, efficiency and so on – would enable the collegium to elicit evidence of these qualities and compare the strengths of different candidates. This accords with the use of job descriptions which is standard practice in recruitment more generally. Transparency: the Court calls for the publication of criteria and information about the selection process on an official website. In addition, it proposes that a confidential record be kept of any dissenting opinions of collegium The usefulness of such measures will depend on whether the criteria are appropriately comprehensive in the sense discussed above, and whether the steps in the selection process are calculated to elicit evidence against those criteria (this could include requiring candidates to complete a form or questionnaire, submit a sample of their judgments or other writing, and attend an interview – see the further discussion of these matters in the Cape Town Principles). The Court’s proposal to record dissenting reasons is an interesting nod towards accountability but it is difficult to see how it would make a difference except in rare cases of judicial review or if an ombudsman body were to be established. Secretariat: the Court calls for a secretariat to be established to support the appointments process. Its members would be answerable to the judiciary (and hence the collegium). This represents good practice, as recognised in the Cape Town Principles, since a secretariat would strengthen both the operational capacity of the collegium to assess the suitability of candidates as well ensuring its independence from government. One would hope that candidates will be encouraged to be more forthcoming, and public confidence in the appointment process enhanced. Complaints: the Court calls for ‘an appropriate mechanism and procedure for dealing with complaints against anyone who is being considered for appointment as a Judge’. This is a fairly radical suggestion as it seems to envisage a role for civil society in monitoring the quality and track record of candidates. It is unclear how this could be put into operation, unless the publication of shortlists and possibly also the holding of public interviews is envisaged along the lines of the extremely transparent processes in South Africa and Kenya. But the Court indicates that the entire process is to remain confidential, so it would seem that at most the collegium could review complaints that are pending against a candidate under existing mechanisms, for example the disciplinary organs of the legal profession. While most of the Supreme Court’s recommendations would constitute valuable improvements, they leave important questions unanswered. Perhaps the most fundamental of these is whether judicial posts will continue to be offered with a ‘tap on the shoulder’ or whether vacancies will be advertised and an open application process conducted. If the latter route is taken then the Indian collegium system will be closer, at least as regards its selection criteria and processes, to the second-wave commission model recommended in the Cape Town Principles. Such a move towards a transparent selection process is strongly to be recommended in view of its potential to strengthen judicial independence, diversity and public confidence. Dr Jan van Zyl Smit, Associate Senior Research Fellow in the Bingham Centre for the Rule of Law at the British Institute of International and Comparative Law. As an Australian who has worked on judicial appointments (which are still at the discretion of the Attorney-General), I feel like we’re being left behind – even by India, which has at least considered the issue openly and in depth. For anyone interested in just how conservative the Australian jurisdiction can be, here’s a conference paper from last year on judicial appointments by the Judicial Conference of Australia: http://www.jca.asn.au/wp-content/uploads/2013/10/P17_02_42-RESEARCH-PAPER-final.pdf. Interesting read, thanks. I find it a bit unfortunate that the debate does not expand to include civil law comparisons. Having witnessed the appointment process in Scotland, I remain skeptical about the efficacy of changes in fostering diversity (whatever the term means in the judicial context, an ambiguity that plagues the appointment process) and I am dismayed at the influence of pernicious human resources approaches to selection (the dreadful competency-based interview for example). It might be that a ‘judicial career’ is too foreign a concept to adopt in a common law context, but certainly the procedural steps for selection can be assessed separately from outcome, and at least considered as an alternative to the current recommendation by commission+appointment by executive model. This entry was posted on March 7, 2016 by Constitutional Law Group in Comparative law, India, Judicial review, Judiciary and tagged Cape Town Principles on the Role of Independent Commissions in the Selection and Appointment of Judges, Commonwealth, Constitutional Reform Act 2005, judicial appointments, Judicial Appointments Commission, Kenya, South Africa, Supreme Court of India.